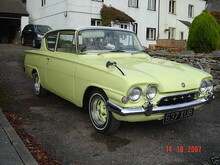 Ford introduced a new two car range in 1962, the 109E Classic saloon and Capri coupe. 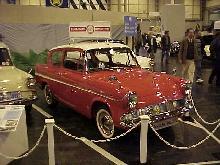 The new cars were intended to fit between the Anglia and Cortina and provide some American style and glamour to the UK range. Both cars shared the same floor pan and 1340cc four cylinder engine. 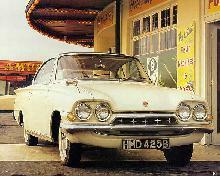 A four speed manual gearbox was standard and could be specified with either a floor or column mounted change. 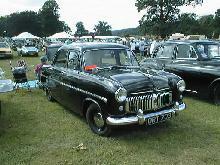 The Classic saloon sported a two or four door bodyshell which came complete with a four headlamp front grille, Anglia style "reverse slope" rear window and large "gull wing" tail-fins. The overall look of the 109E Classic was too American for most tastes and combined with the cars lack of power, the model failed to sell. 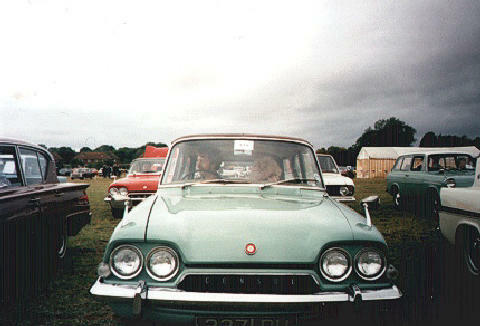 After only one year in production the model was replaced by a slightly improved 116E Classic. 8' 3" 4' 1" 14' 2" 5' 5" 0 (18) 0' 0"